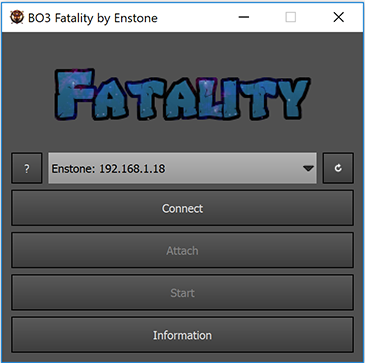 BO3 Fatality is a PC Software that connects to CFW consoles to provide menus. 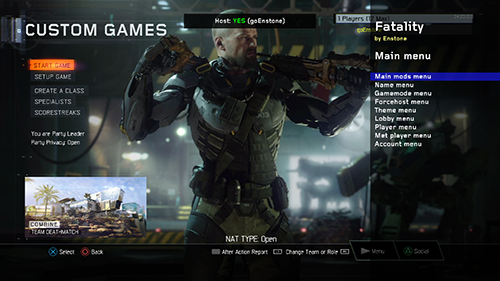 3 mod menus are provided, an host ingame menu, a non-host ingame menu and a pregame menu. Vous devez être connecter pour pouvoir acheter cette application.